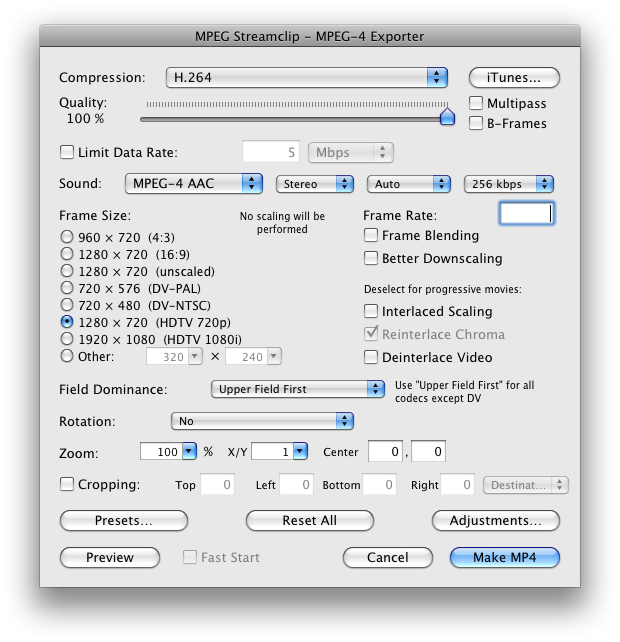 Settings in MPEG Streamclip for encoding to an MP4 file. Posted on Wednesday, December 2nd, 2009 at 2:52 pm. Subscribe to the comments feed. Both comments and pings are currently closed. Post on your own blog.